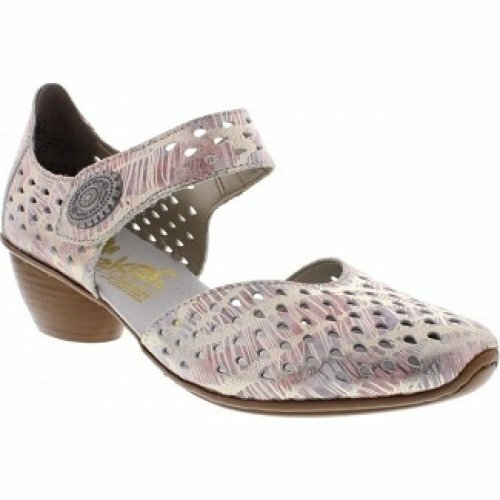 Rieker Image 43758 women's low heel shoe. A casual, yet smart style with a low block heel and velcro strap across the front of the foot. This style features stencil, cut out patterns that create an elegant and classy look. Heel height 4cm.